What are your plans for New Year's Eve? We got invited on a ski trip to New Mexico, which would have meant a more casual night. But since we're taking off kind of a lot of time and dropping a big chunk of cash in the next couple of months between our wedding, bachelor/bachelorette parties, and our friends' weddings, we decided to be responsible and stay in Chicago instead. Now that we're staying, we may have gotten talked into hosting a little party ourselves! Like just about every girl, I love New Year's because I love the excuse to wear something sparkly. I've put together a couple of looks that would work for any NYE plans, from a casual night with friends to a fancy party. Linking up with Friday Fab Favorites. 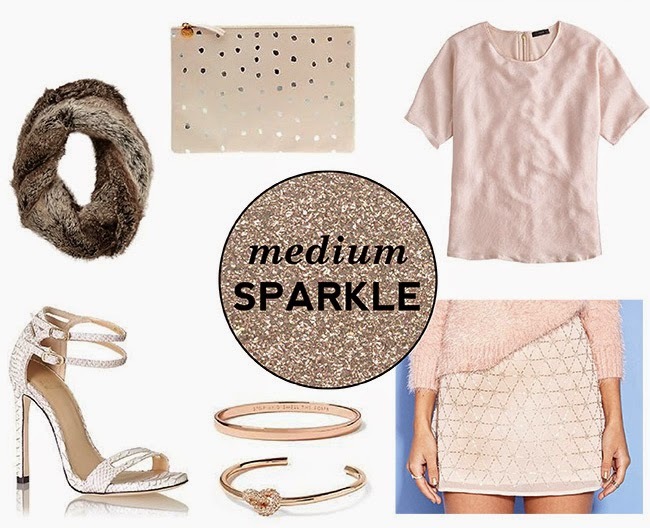 I love how your broke it down into three categories of sparkle! I definitely fall somewhere in between, which is why I think I need that f21 skirt.. and that knot bracelet. It's just too cute! 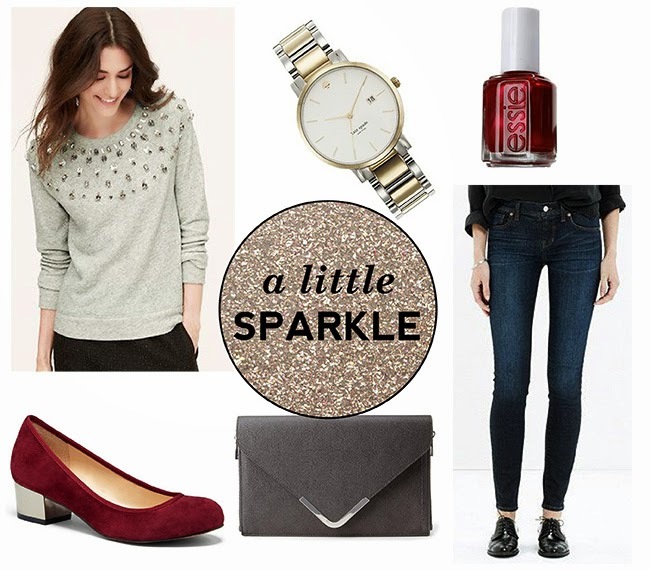 Ooh you had me at "a lot of sparkle"... Why not? Still want to have a silver/gold watch. So good!